An exhausted, elated and emotional cast and crew of ‘Oliver!’ finished a season that can only be described as stunningly good. I am far from alone in claiming that ‘Oliver!’ is simply the best school show that I have ever seen. 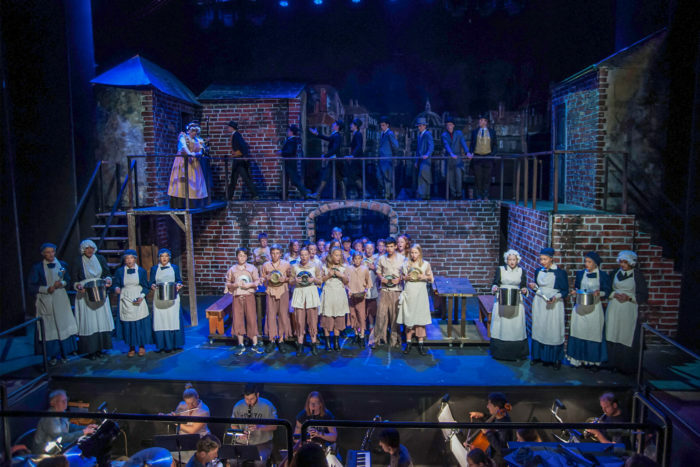 From the amazing talent on stage to the professional standard of the set, slick stage changes, high tech sound and lighting and flamboyant costumes, it was a triumph for all involved. The experience of really committing and pulling out all the stops to present the very best show possible is quite different to the philosophy of simply putting students on show for the fun of that experience and that can be seen in the actors and crew who are reflecting on their achievement this week. I offer congratulations to all who were involved in this incredible show and especially to its producer and director Andrew O’Connell whose passion has inspired all around him. 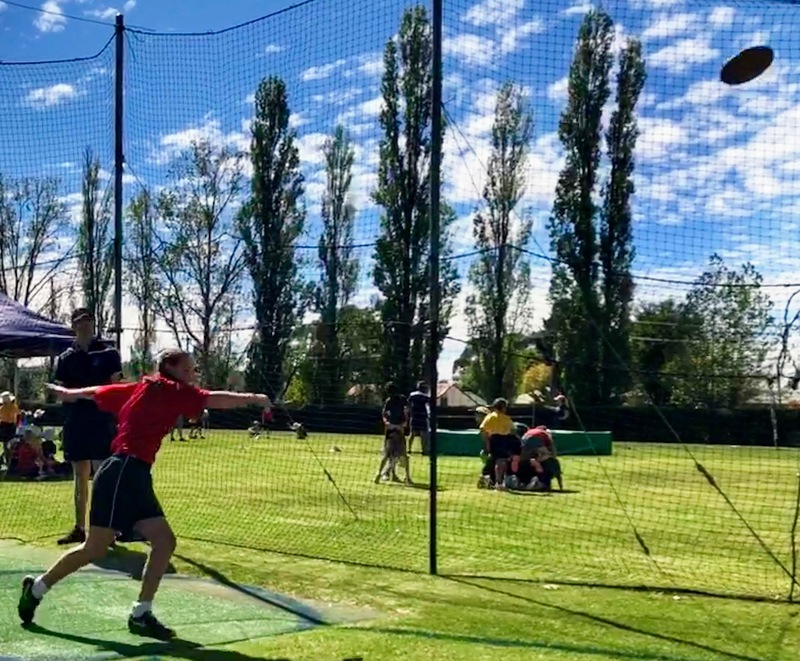 The conclusion to season for our First XI cricketers followed the script beautifully last weekend, despite the shifting of the grand final from Saturday to Sunday after the welcome rain that disrupted the end of our athletics carnival as well as the cricket. The win by 9 wickets after bowling out the opposition for 47 was as conclusive as it could possibly have been for the minor premiers and I am sure that the 2018/19 season will stand out as one of the most successful ever for the TAS senior team. I offer players and coaches alike congratulations and hope they enjoy the well deserved celebrations at their dinner on Saturday night. 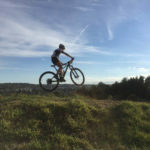 This weekend the ‘Triple Crown’ events for 2019 begin and it seems that the interest in this diverse collection of physical and mental challenges is continuing to grow. More than 100 students will take to the water on Sunday morning for the 2km Coffs Ocean Swim, making this our biggest team to compete by a significant margin and I wish all our swimmers well for the event. 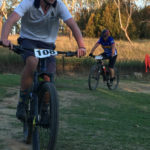 This will be followed by the Tour de Rocks mountain bike marathon from Armidale to South West Rocks over the following weekend as the holiday break begins. 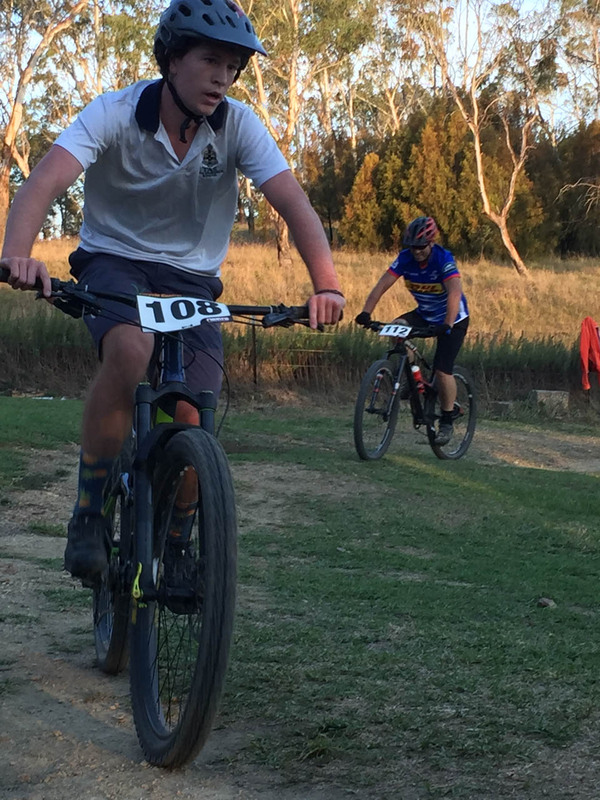 Whilst the clash with the TAS Rugby Carnival has disappointed a number of regular riders, TAS will field a record team for this event too and supporting a great cause at the same time. 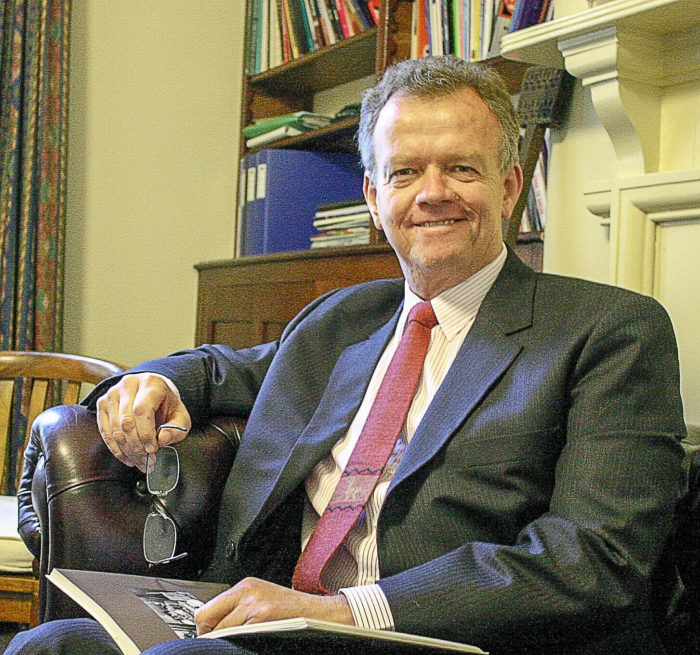 Jim Pennington, in his new role as Coordinator of Challenge and Service at TAS is clearly gathering growing interest and I thank him for the inspiration he brings to this area of school life. Preparations are in their final stages as we look forward to the 15th TAS Rugby Carnival. 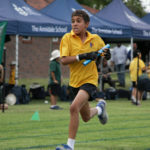 This is not only the biggest public event in the TAS calendar, but also the biggest rugby carnival for primary-aged school students in the country and it is looked forward to by schools and clubs from around the country. 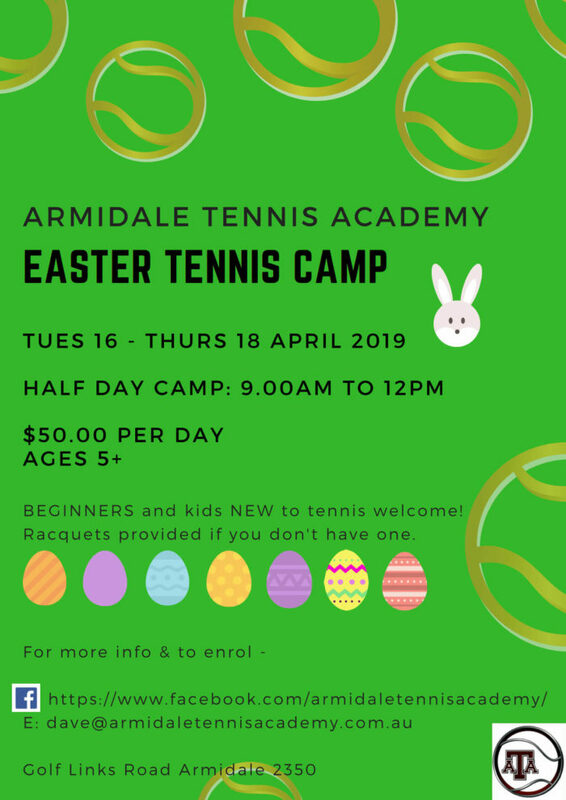 This year we will again host around one thousand aspiring players in the 12 years age group and they will be accompanied by thousands of parents, friends and coaches, making this a significant and very positive event for Armidale too. 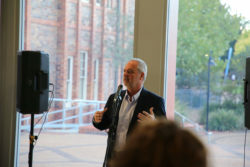 The TAS carnival carries a wonderful reputation for its positive sporting spirit and outstanding organisation and I offer the considerable thanks of the School to the big team that is driving it again this year. As I write the 2019 Country Tour is near to completion as we move from Narrabri to Gunnedah. 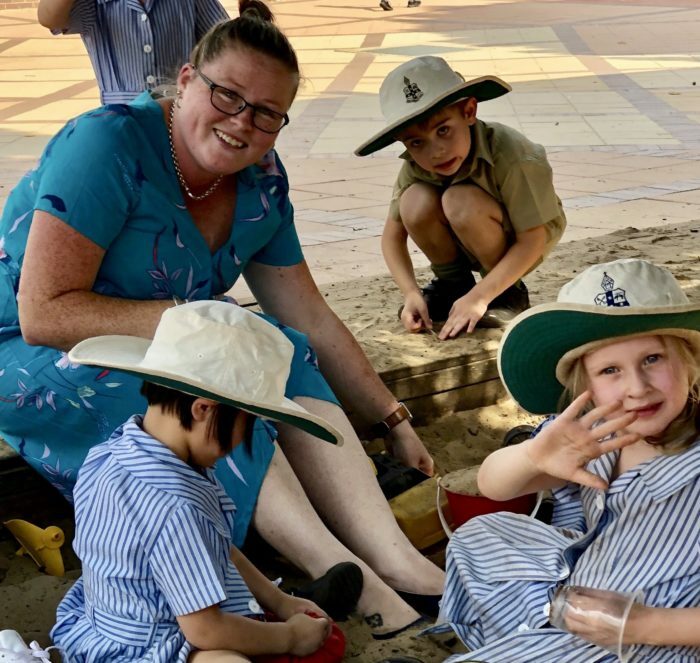 This year has seen an unprecedented number of enrolment meetings with families looking at TAS for 2020 and this tour has been a longer one than usual as a result. This interest, in drought conditions that are challenging our entire region, is both encouraging and humbling as it highlights the great importance that regional families put on making the right choice of school for their sons and daughters and personal commitment that lies behind that. It is a message to our school that is heard clearly. 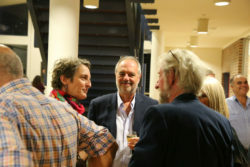 We have also had the chance to catch up socially with a good proportion of our current boarding families as well as a collection of Old Armidalians spanning the decades at functions in Inverell, Glen Innes, Scone, Tamworth, Moree, Narrabri and tonight in Gunnedah. 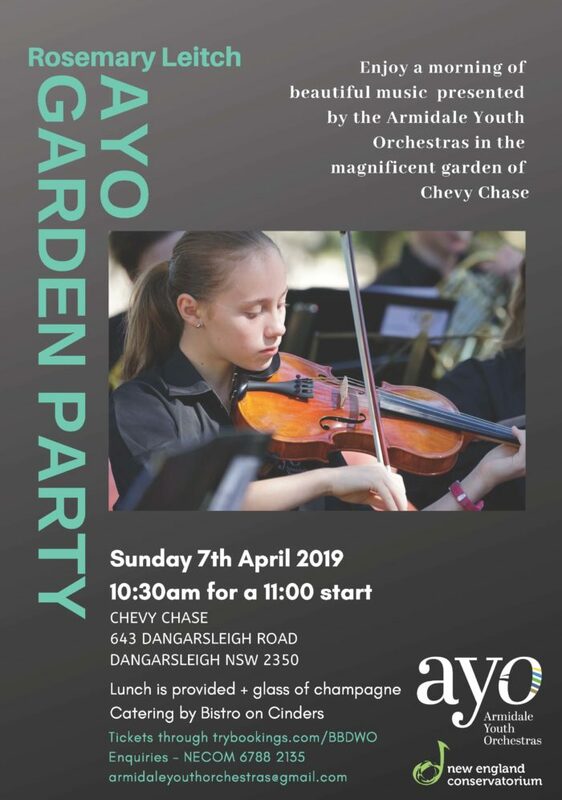 The opportunity to mix and chat in such a relaxed way would be a rarity at school and so this is a special time of year for us. I offer particular thanks to our hosts over the past few weeks who have looked after so well at functions in their homes. *Reminder: School Drive Subsidy applications should be submitted now if not already. Eligibility criteria and application forms can be found via the link below. If your child is to be absent from school for any reason, including arriving late or leaving early, please advise the appropriate Administration Assistant (see below), explaining the reason for absence by phone, email, or written note before 10.00am that day. In addition a written note confirming the circumstances of the absence is required within seven (7) days. Sickness in excess of four school days requires a doctor's certificate detailing the nature of sickness and duration of sickness. 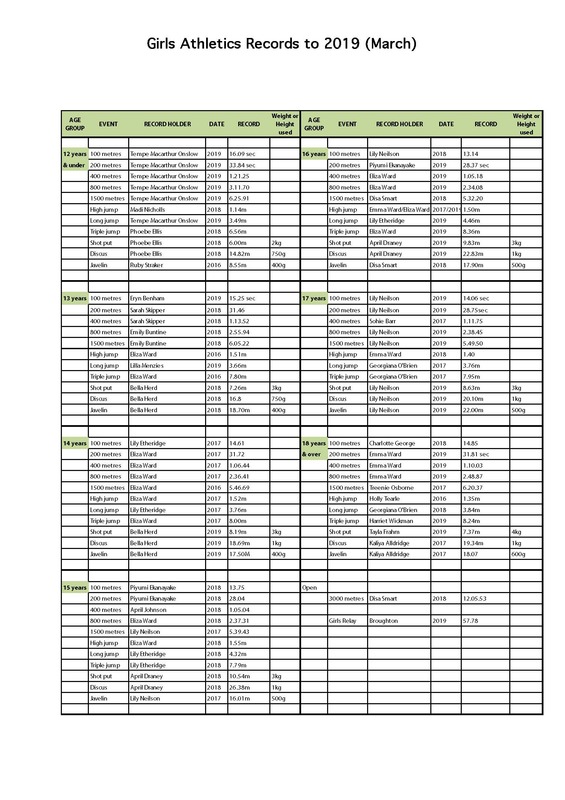 More information about absentees and extended leave can be found using the link provided. All proceeds go towards the Drought Relief Bursary. One of my own favourite, yet tragic, last words were spoken by Union General John Sedgwick, at the battle of Spotsylvania Courthouse: “I’m ashamed of you men, dodging that way. They couldn’t hit an elephant at this range!” His words speak of denial, and the sheer impossibility of death at this point in his life. Australian icon and infamous outlaw Ned Kelly allegedly said “Such is life” moments before he was hung in Melbourne Gaol on November 11, 1880. The words speak of the inevitability of death, and an acceptance that ultimately, you get what you deserve. Ned Kelly was punished for his crimes by execution. This time next week at TAS we commemorate and celebrate a man who was also punished, but on this occasion, he had done no wrong, he was unjustly dealt with. As Jesus hung on the cross, he died the death of an outlaw, yet we know that this man was innocent. The Bible makes it clear that Jesus came with a mission. His death did not come as surprise, his last words aren’t of denial, like John Sedgwick’s or of defeat like Ned Kelly’s; Jesus’ death on the cross was entirely intentional. The purpose was to be our substitute, he is in our place, he died for our sins, meaning that we no longer have to face God’s justice alone and suffer eternal separation from the One who gives life. When Jesus utters his final words, my favourite of all time, “It is finished”, his mission is complete. Those who put their trust in him get the exact opposite of what they deserve. Through his death Jesus gives us real hope that we don’t have to face the inevitable, because he has done it on our behalf. That is why Good Friday is so very good! TAS RUGBY CARNIVAL IS ONLY 10 DAYS AWAY – WE DESPERATELY NEED YOUR HELP. 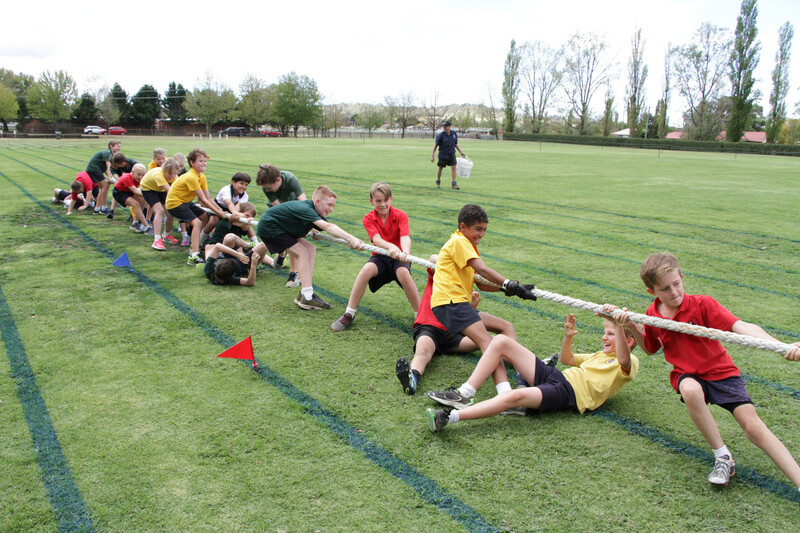 The TAS Rugby Carnival is coming up at the start of the April holidays on Friday afternoon 12 April (Set up) and all day Saturday 13 and Sunday 14 April. IT IS ONLY 10 DAYS AWAY!!! 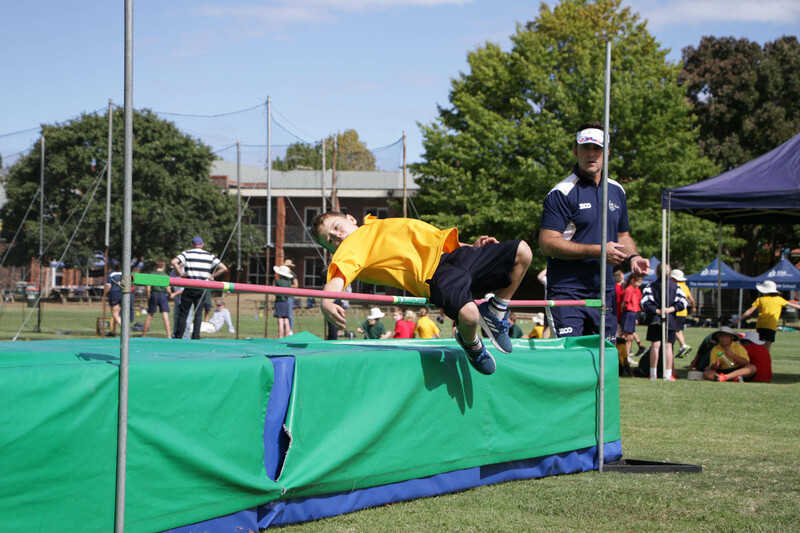 This is the biggest event of the year for TAS and the P&F and showcases TAS far and wide – we have well over 1000 kids, coaches and managers to feed each day – plus their families … phew!!! We need your help to make the weekend fabulous… you don’t have to have a child playing or be interested in rugby… but if we could have a few hours of your time it would be wonderful… If you can help or bake or both for this event it would be much appreciated. 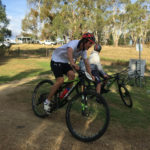 The Rugby Carnival does clash with Tour de Rocks this year and lots of our regular helpers are involved with Tour de Rocks so we will need as many hands on deck as we can. We need heaps of people to BBQ, sell food, make lunches and generally help and we need heaps of food to feed everyone! 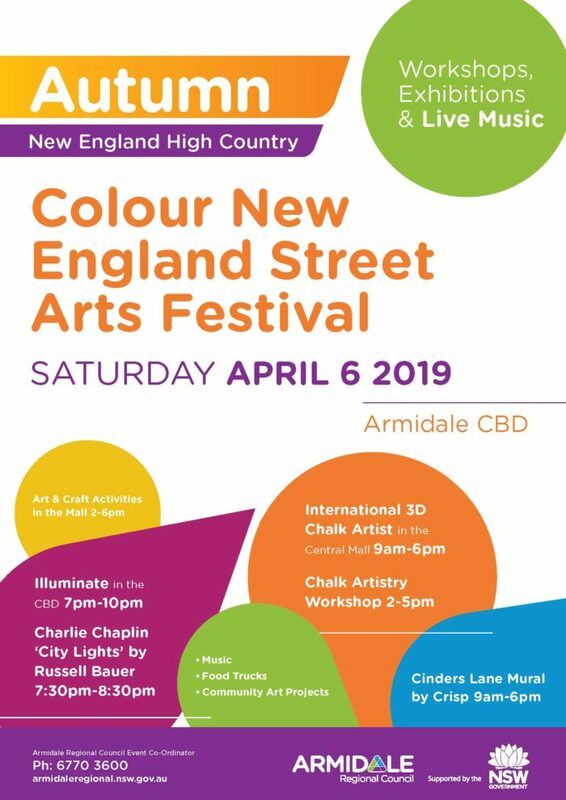 To feed the hordes we are seeking good country home baked goods to showcase Armidale and all our surrounding areas to people from as far away as Perth, Sydney and the Sunshine Coast. Baking needs to be able to be packaged in single serves. 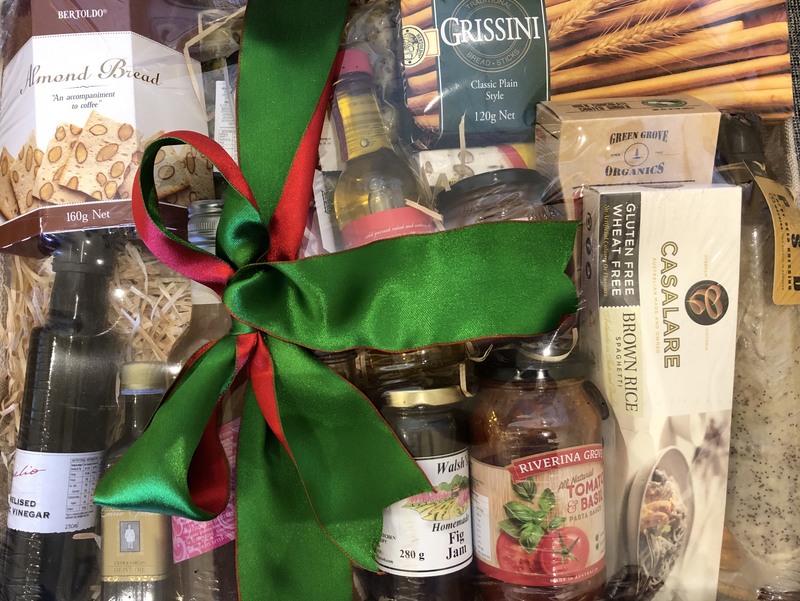 We need sweet stuff for kids, healthier options for parents, savoury goodies, gluten-free and dairy-free items (with labelling and a list of ingredients). However, please remember all items should be nut free or very well labelled if they do contain nuts. If you are a boarder family or cannot help on the weekend an option is to drop some baking off to Main Reception on Thursday 11 when school breaks up. Account Number 754615 (if you are with Regional Australia Bank then please include account code S3). 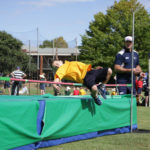 All donations will be gratefully received and we thank you all in advance for your help – the TAS Community is amazing – it’s not many schools that could pull off all the catering for such a big sports Carnival. As we are so close to the Rugby Carnival please keep your eyes peeled on the P&F, TAS and Year Group Facebook pages for further information and any pleas for help. If you haven’t already ‘liked’ these pages please do… our P&F Page is keyword TAS Parents and Friends. Planning Meetings are on Wednesdays so if you would like to be a part of the core team please email [email protected] so we can invite you to our meetings. A reminder that the Library continues to be open before and after school for students in Years 6 – 12 who want a safe and quiet space to complete homework and revise their days classes. The Library is supervised and the staff on duty are available for general guidance with homework and assessments. Please note that there will be no supervision or tutoring in the Library on Thursday (11 April) due to the start of the holidays. 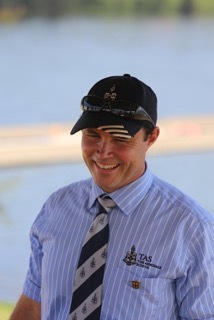 We welcome Mr Andrew O’Connell to the Co-Round Square Representative role at TAS, replacing Mr Barney Buntine who resigned at the end of last year. Please don’t hesitate to speak to Mr O’Connell about Round Square opportunities as you see him around the campus. ‘Gen Z Mind Shifters’ is the theme of the conference to be held at Woodleigh School from 7-11 April. Prior to the conference our delegation will be spending a few days exploring Melbourne and will depart Armidale this Friday, 5 April. The delegation is led by Ms Brus and Mrs Pollard and student delegates include: Peter Evans, Alexis Langlois-Peters, Harrison Miller, Jonathon Phelps, Ben Poole and Angus Wallis. 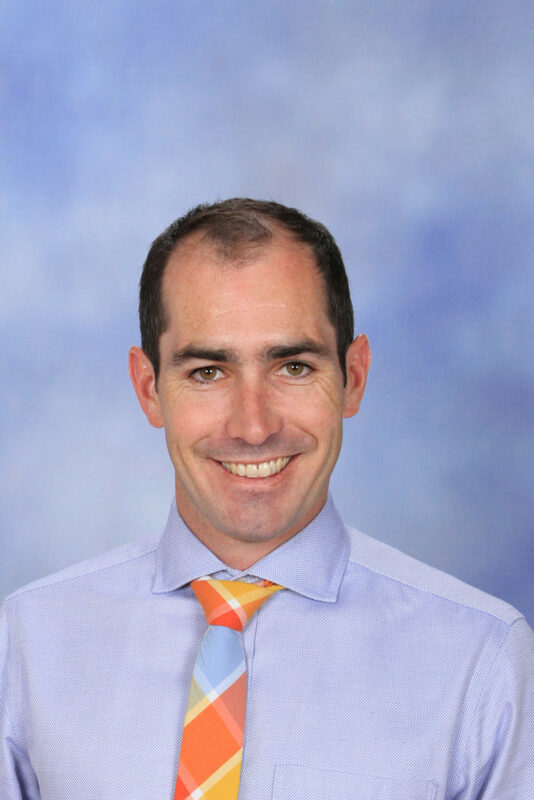 Mr Polson and Ms Channon will accompany six students to Indonesia from 24 April – 2 May. The student delegates are – William Brett, Isabella Crawford, Alexandra Nivison, Thomas Rowe, Charlie Ward and Sinclair Little. A wonderful opportunity to experience another culture in the company of a good number of our regional schools who all share in the experiential and growth opportunities offered by Round Square conferences. We wish these delegations well for safe travel and making the most of the conference experience. We have been delighted to have with us this term (for varying lengths of time) Ricardo de Blanc and Arjav Poudel from Gordonstoun School, Scotland, Shirley Nolas from Markham College, Peru; Isabella Alfanador from Colegio Anglo Colombiano in Colombia and Jennifer Canoni from Hackley School in the USA. There is a richness in having these culturally diverse and most interesting students in our midst and I encourage all of our community to embrace opportunities to either invite these students into your homes or just take the opportunity to sit down and have a chat about their life in another school and country. Tom Forsyth and Hayley Whitehill return to us this week after their time on exchange at Gordonstoun School since mid-January. 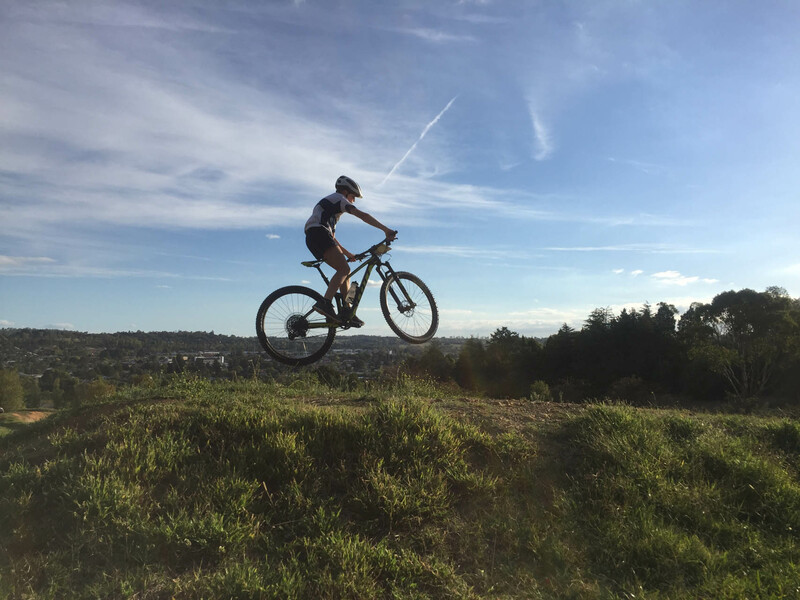 The reports back to us are impressive and there have been many opportunities for involvement in a myriad of opportunities offered by Gordonstoun. Lachie Carter also returns to us this week after his time in South Africa at Woodridge College near Port Elizabeth. 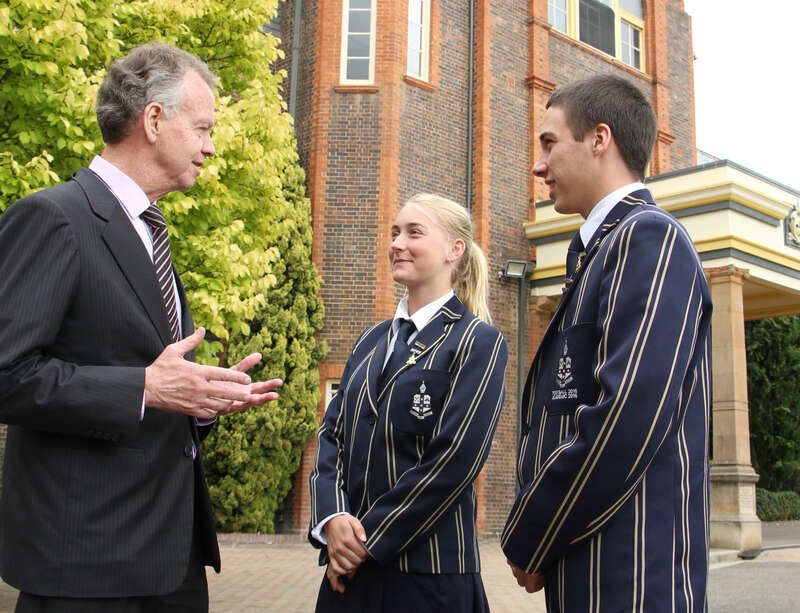 We look forward to hearing exchange reports from our returning students at Assembly in Term 2. 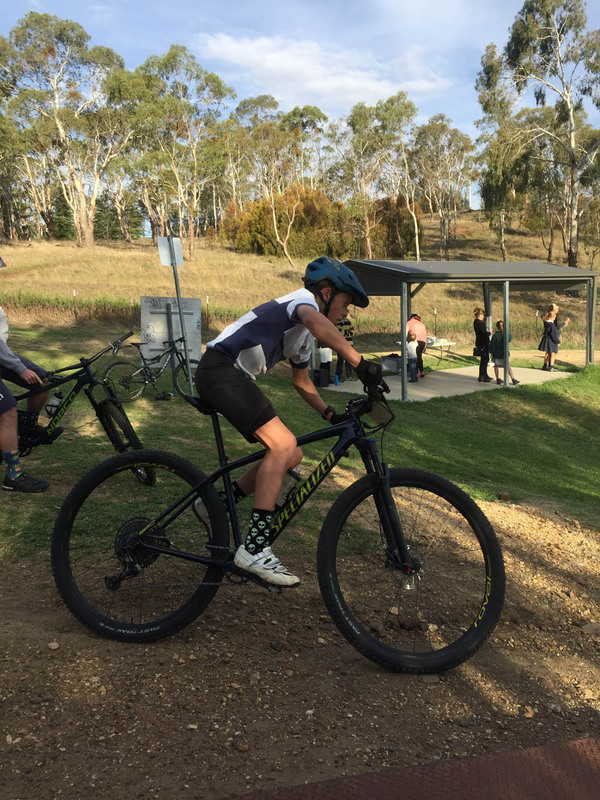 Year 8 exchange is available to Year 8 students in pairs (or individually) to travel to our regional Round Square schools for a period of 2-3 weeks. This is reciprocated by a return visit from that host school. To date I have been approached by Scotch College, Perth (boys only school) and Bunbury Grammar School (WA) for both boys and girls to try and set up reciprocal exchange arrangements this year – at a time to be negotiated. If your son or daughter is interested in pursuing this opportunity, please see Mrs Frost at Middle School and she will direct students to Mrs Barnier for more information. 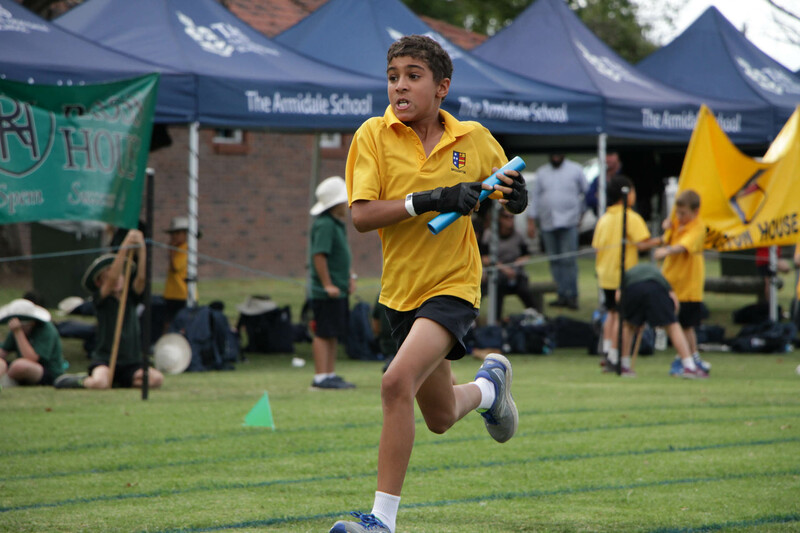 Thank you to all staff, students and spectators for braving the conditions and supporting the 2019 Athletics Championships – but how good was the rain! The focus of the event is mass participation whilst still providing opportunities for individuals to excel and it was pleasing to see both on display. 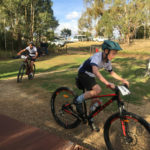 For most events the representative season commences in Term 3 with the NCIS Carnival in Coffs Harbour on 20 August and the GPS Championships on 21 September at Homebush. 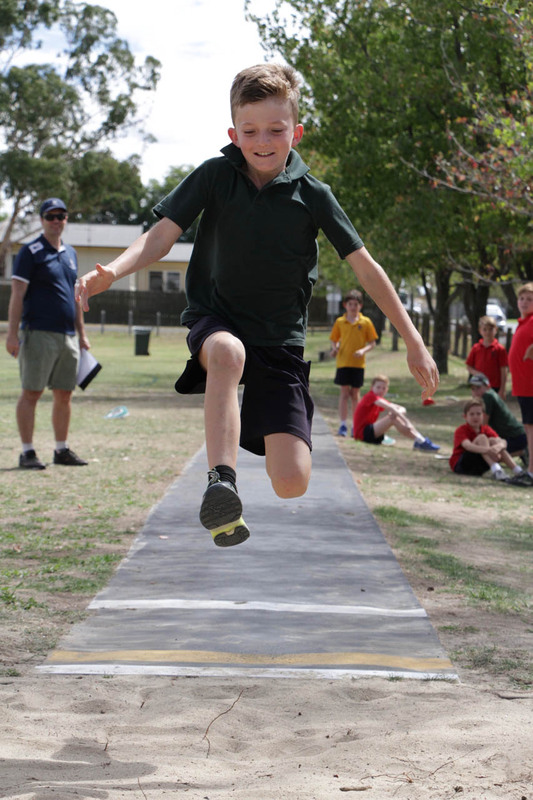 In the meantime, the TAS Cross Country will be held for the whole school next Tuesday 9 April, commencing with Junior School at 2pm then Middle School at 3pm followed by Senior School at 3:45pm. 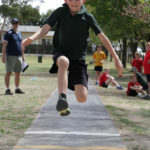 NCIS Cross Country will be held in Ballina on 17 May. 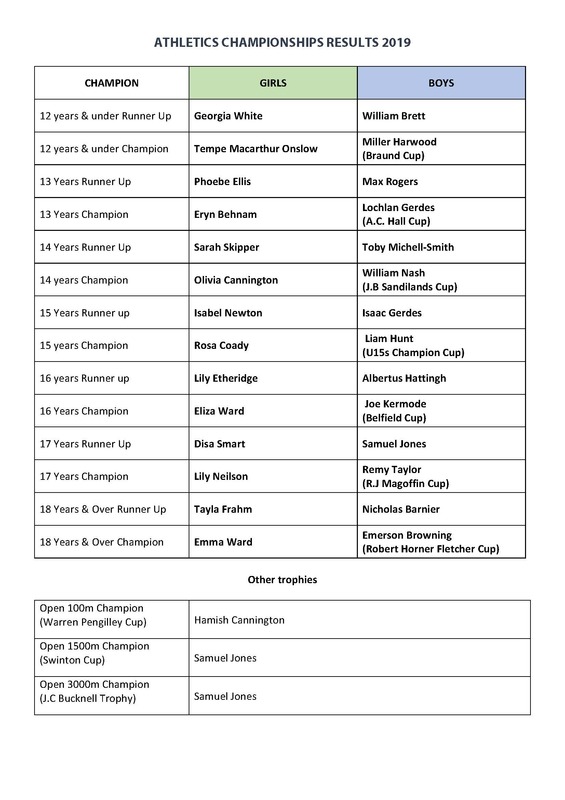 Any enquiries about Athletics or Cross Country should be directed to Mr Pennington (MIC Athletics). 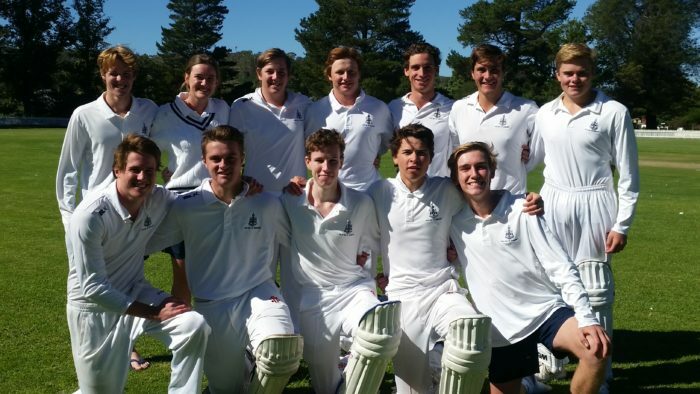 Congratulations to our First XI cricket team who were victorious over Easts in the Second Grade Grand Final on Sunday. It was a fitting end for our Year 12 players and a great motivator for those boys and girls aspiring to be in the team next season. After a big season the First XI became ADCA Second Grade premiers yesterday after a comfortable win against Easts at Lambert Park. Easts were first at the crease being all out for 47, with Andrew Kirk deserving special mention for his outstanding bowling figures of 5/8. The team have been great ambassadors for TAS throughout the season, and have had great leadership from Kieran Dennis – well done to all, their coaches and supporters. Congratulations to the players of the Under 16 White cricket team, who have finished first in the Under 16 local cricket competition for 2019. The team has played in a 20-20 competition for the entire season, which for the first time featured the use of a pink ball to lend a bit more authenticity and sparkle to the games. The team played in the grand final on the evening of Friday 22 February, and after being sent in to bowl after losing the toss, managed to dismiss the opposition from CSC/Services for a meagre 95 runs in just under 20 overs. The TAS bowlers put on a great show, and there were some exceptional efforts from Andrew Kirk (1-5 off 4 overs), Henry Mitchell (2-22 off four overs), Louis Cannington (3-19 off threeovers), and Cotter Litchfield (3-6 off three overs). What was particularly pleasing about this result for Cotter is that he achieved these fine figures while bowling off-breaks, which is a style he had to resort to as a consequence of nursing an injured back. Given how well he bowled, and considering how impressive his figures were in a pressure match, this might be a style he will convert to in his senior years at school. 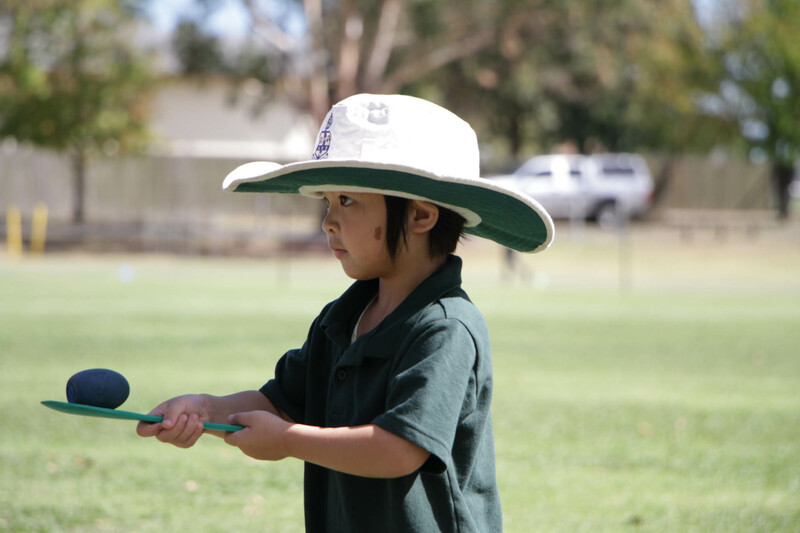 Although the Whites had bowled the opposition out for a modest total, the pressure of the grand final was showing on our opening batsmen, with runs coming very slowly for the first several overs. With storms brewing and threatening to end the game early, it was important for the batsmen to stay ahead on the run rate. Although the TAS batsmen seemed aware of this fact, they found the bowling from the opposition very difficult to get away, and when rain finally did stop play in the 13th over, TAS was only 1 run ahead of the opposition’s total at the same point in the innings. It was nail biting stuff for those on the sidelines, and also for the coach standing at square leg. The top scorer for TAS was Sam Skipper (35 not out). 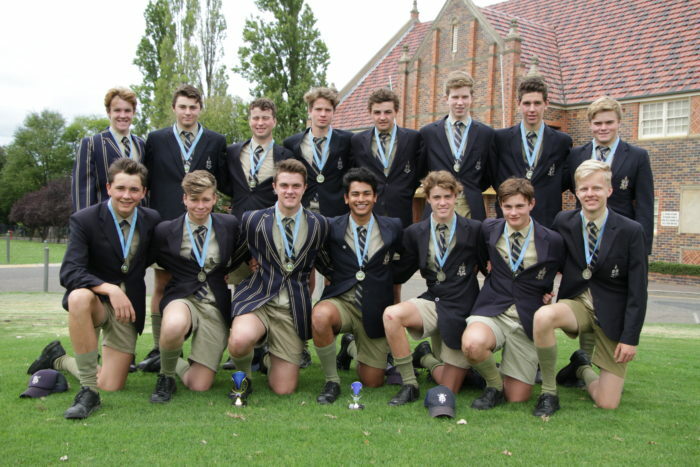 The boys who played over the course of the season include Cotter Litchfield (captain), Andrew Kirk (vice-captain), Louis Cannington, Dominic Ferguson, Cameron Frear, Harry Litchfield, Henry Mitchell, Sam Skipper, Jack van Roy, Tom Younghusband, Lachie Galbraith, Eddie Boydell, Liam Lawson and Lachlan Lawson. Thanks too to Mr Mark Taylor who supported with the coaching duties and development of the players over the season, and Mrs Piddington for her scoring and other administrative support. Following our active participation in the National Virtual Debating Competition in 2017 and 2018, the TAS campaign commenced last week with mixed results for our three teams. 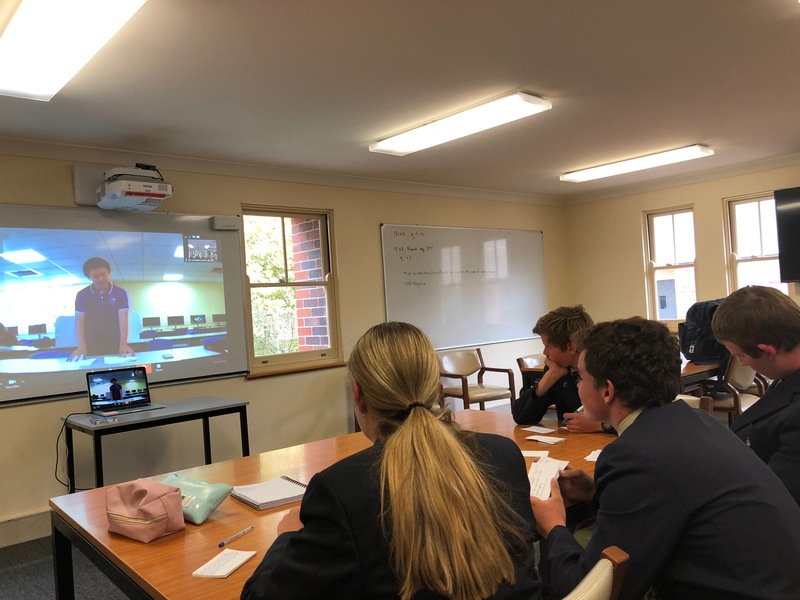 The competition, facilitated by the Association of Independent Schools (NSW), brings together schools from across the continent to debate by video-conferencing in a double-elimination format, so each team gets at least two debates. First out of the blocks was our Year 12 team (Phebe Hunt, Henry O’Neil, Harry Mason, Henry O’Neil), negating the proposition of Newcastle Grammar School ‘That the My Health system is too serious a security risk and should be abolished.’ The TAS team were performing admirably until technology challenges intervened one and a half minutes into our final speaker – and despite all best endeavours it could not be rectified, forfeiting the debate to NGS. It was a disappointing way to start the season, but the team is looking forward to facing either Scotch College (Melbourne) or St Luke’s Anglican School, Qld, in the next round. 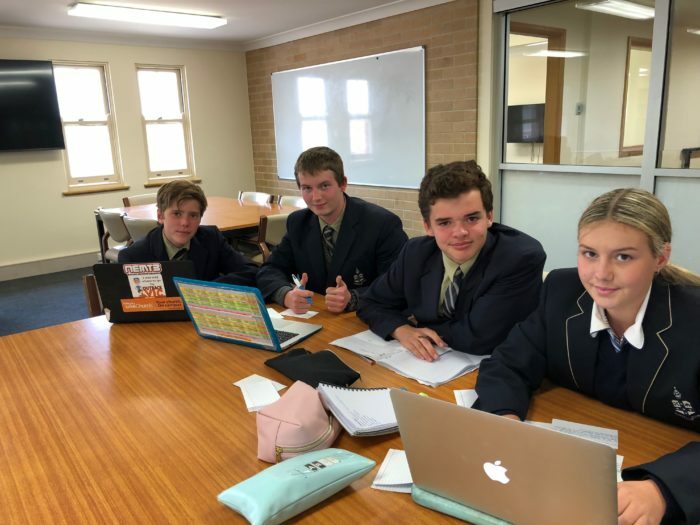 It was a more favourable outcome yesterday for our novice Year 9/10 team, made up of Hudson McAllister (10), Charlotte Brunyee (9) and Will Jubb and Hugo Catterall (9) who agreed that the standard of their opposition in Scotch College Melbourne was a significant step up from Middle School debating! Whilst Scotch were technically a more experienced team, the ability of the TAS team to challenge the affirmation ‘That no-one should be allowed to post on the internet anonymously’ by building the need for vulnerable stakeholders such as domestic violence sufferers and drug addicts to be protected by anonymity was enough to give them victory by the narrowest of margins, just a single point! Meanwhile our Year 11 team is through to the second round with forfeit to them after All Saints Grammar School were unable to muster a team in time. 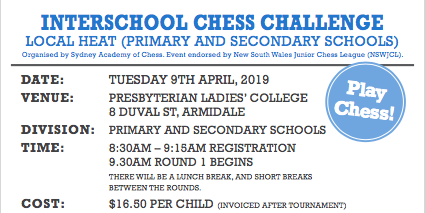 Jack Nivison, Lucy Ball, Lachlan Reis-Wears and Rick Nutt will instead launch their campaign against the winner of PLC Armidale and last year’s winners, Canberra Girls’ Grammar. 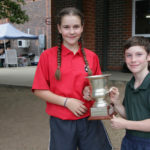 Middle School inter-school debating has had a truncated start, with PLC unable to host the first round of the Tri-Schools Shield this term due to a clash of commitments. TAS will instead kick things off hosting in Week 3 of Term 2, providing two teams in each year group to debate the girls’ schools. 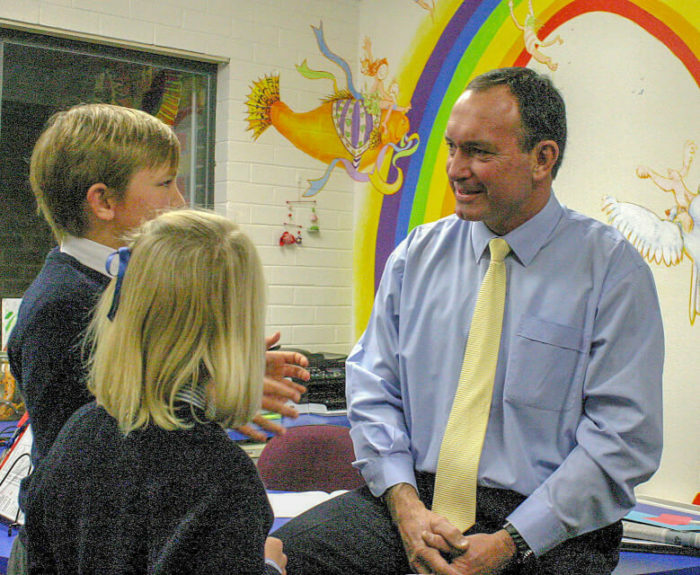 PLC will reciprocate in Term 3 and NEGS will wind things up in Term 4. 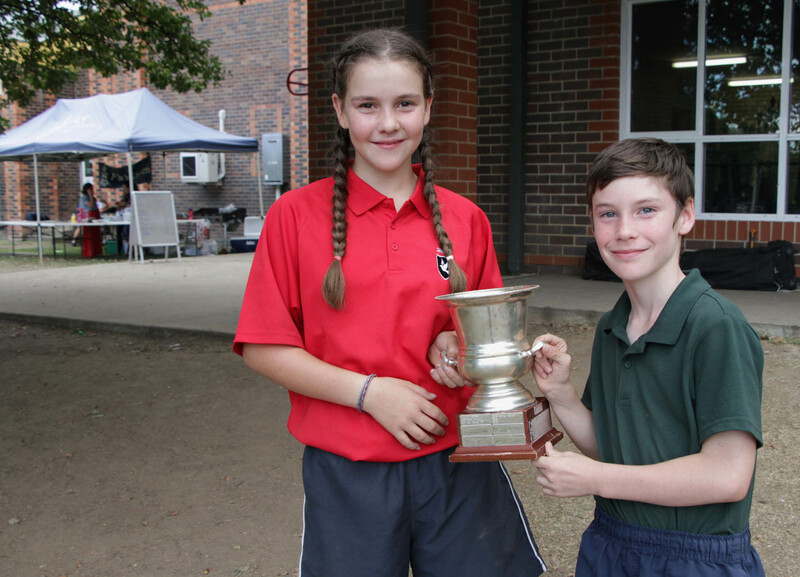 TAS won the Tri Schools Shield last year for the very first time, and our Middle School debaters are keen to defend it. Meanwhile, a number of students from Years 7-12 have been meeting with Debating captains Phebe Hunt and Henry O’Neil, Miss Lo and myself at Speakers Club (Tuesday mornings 8am-8.30am, Cash Building) to practice classroom presentations, develop critical thinking skills and opine on current affairs from different perspectives. Open to all on a come and go basis – it has been wonderful to see the interaction and encouragement across the year groups. 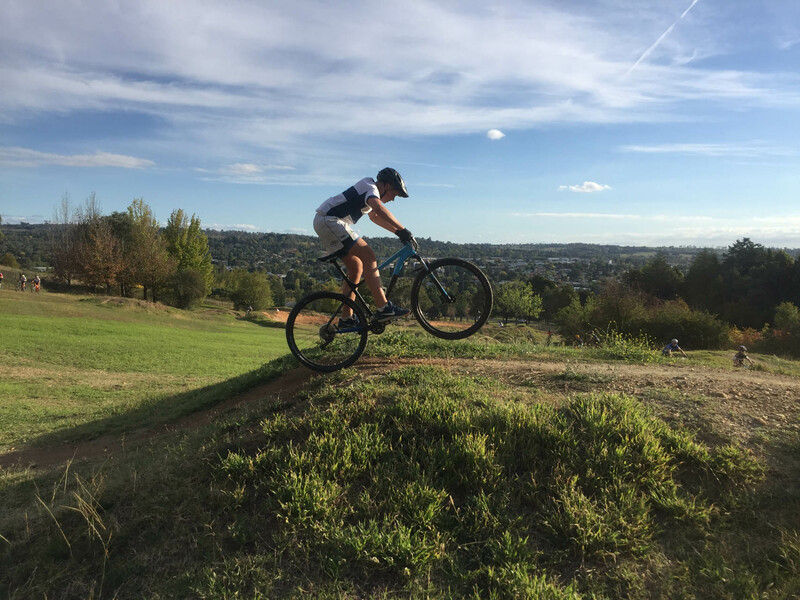 The final two races of the season for our mountain bikers ended with many pleasing results. 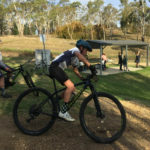 As usual all our students put in a great effort at these last two NEMTB Summer Series races, especially Year 8 students Toby Inglis and Angus Goudge setting PB’s with seven laps in their quickest time. Likewise Joe Kermode and team captain Duncan Chalmers set their personal bests with eight laps! 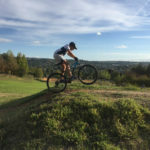 The whole team seemed to show the benefits of their term’s worth of work on the bike by improving considerably, despite racing on the back of the many athletics events! 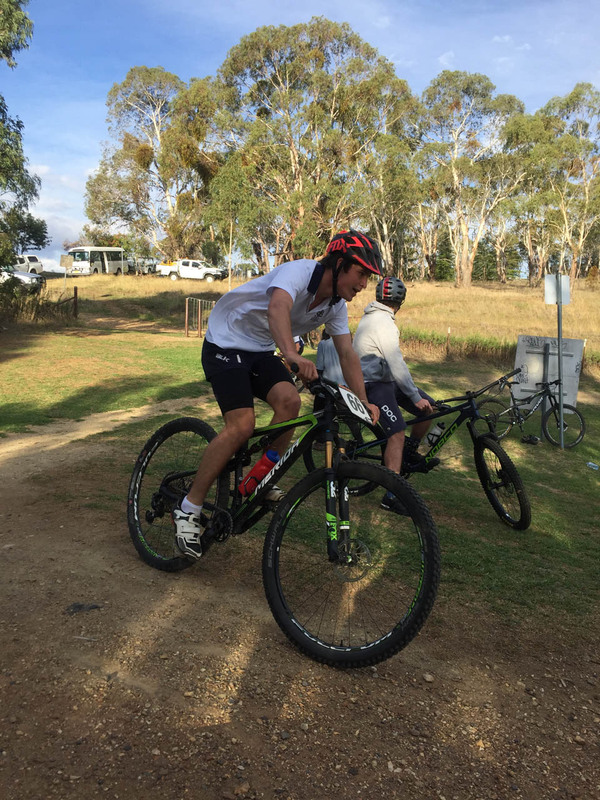 In other mountain biking news, Year 10 student Archie Chick and TAS OA/MTB coach Angus Apps competed in a National Tier Level 1 race in Canberra two weekends ago. 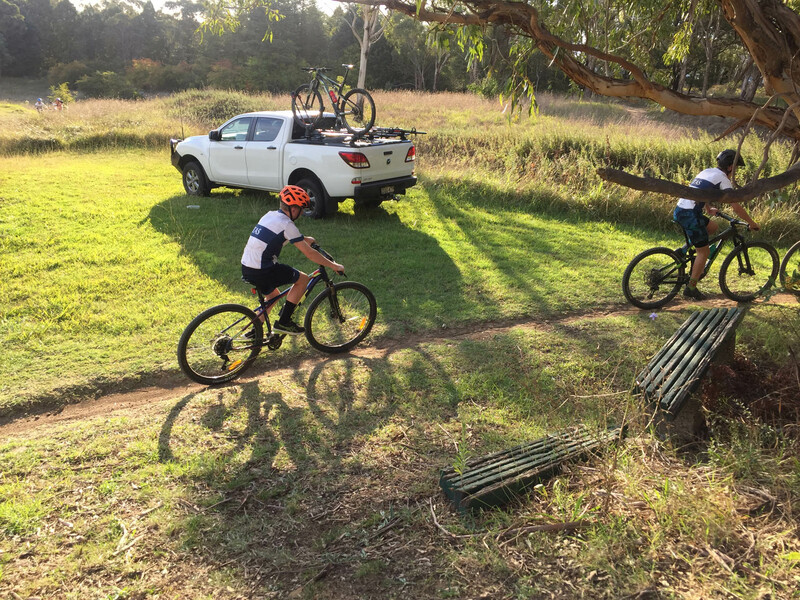 Archie and Angus both rode very competently, mastering the incredibly technical course to place well in their respective age categories. 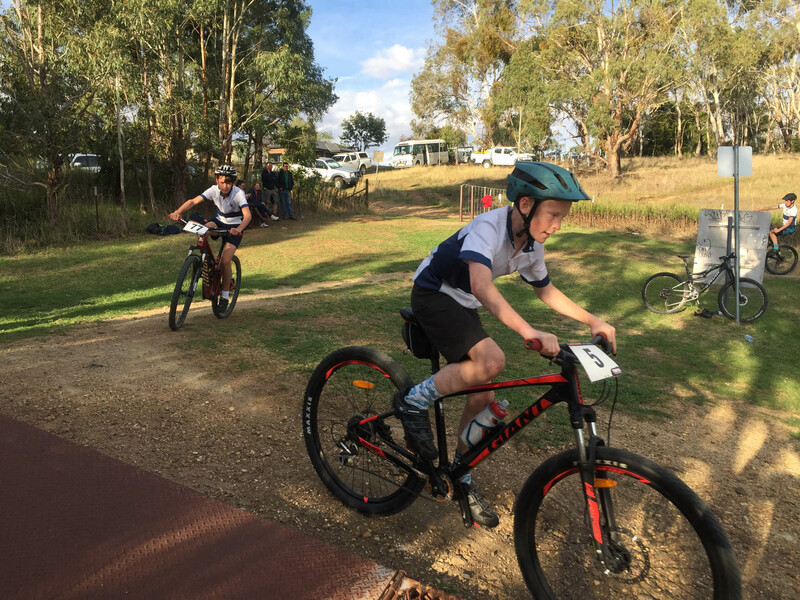 We wish Archie and Angus, along with Year 5 student Ted Chick and TAS OA/MTB coach Michael Harris the very best of luck as they compete in the National Mountain Bike and Oceania championships this weekend. 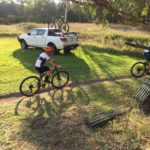 Overall it has been a wonderful season of mountain biking and I would like to thank our coaches Mrs Gen Chick, Mrs Donella Tutt, Rev Richard Newton, Mr Michael Harris, Mr Angus Apps, our team captain Duncan Chalmers, and all the students and their parents for a very enjoyable and rewarding season. There is nothing quite like the catharsis brought by a bump-out, as well as the mixed emotions as one says goodbye to something treasured, and Sunday’s bump-out for Oliver! was no different. 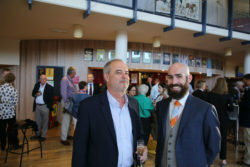 The show closed to rapturous applause and in many ways is the largest production TAS has staged in the Hoskins Centre – a fitting tribute to 10 years of the building and so lovely to have Mr Michael Hoskins there to be part of the celebrations. 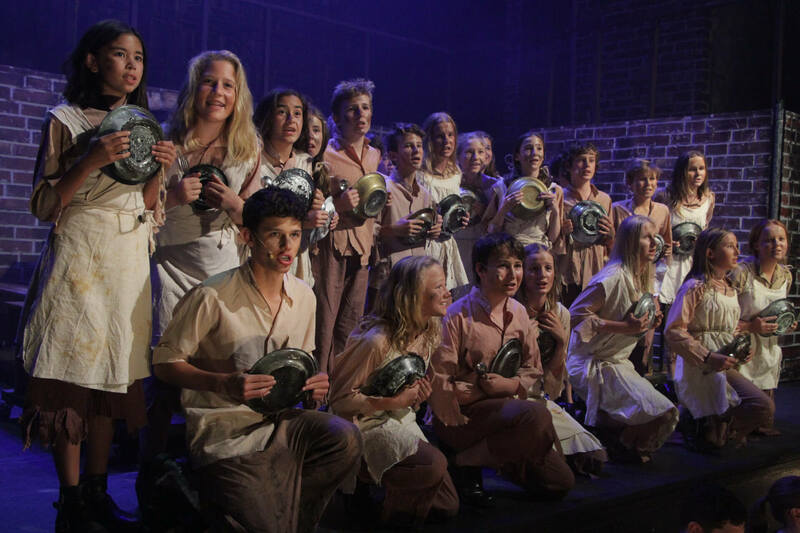 To all the cast, crew, band, Production Team, parents and supporters, I am overjoyed at what we achieved. And I wish you all a bit of a rest to recover yourselves, hopefully the Oliver!-shaped hole in your lives won’t be too painful between now and the end of term. Of course, the Hoskins Centre is never empty for long. We have Fiori Musicali’s Messiah on Sunday April 7 at 7pm, which promises to be a finely-crafted evening of vitality and energetic performance. For tickets jump on the Fiori Musicali Facebook page or buy your tickets at the door. 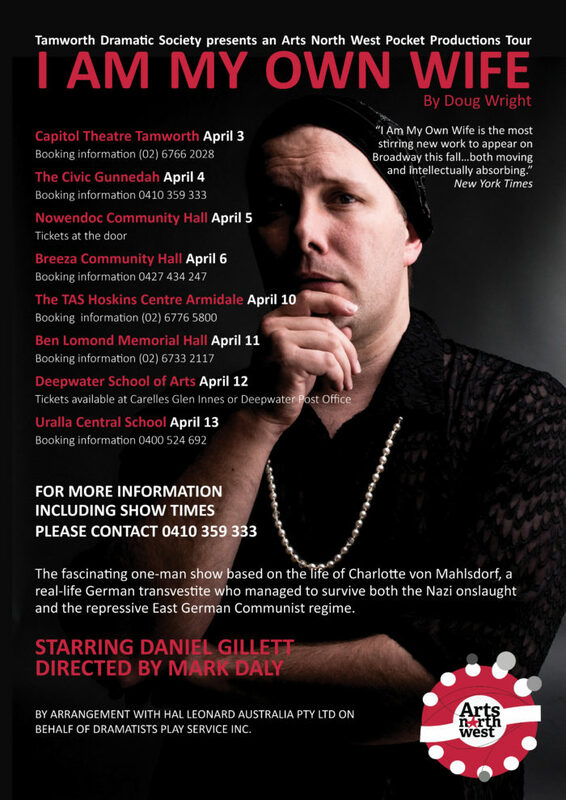 And on Wednesday in Week 11 at 7:30pm there is the touring theatrical piece I Am My Own Wife, which is acclaimed for the script that won the 2004 Pulitzer Prize for Drama. Tickets are also available online or through the Hoskins Centre website and it promises to be a powerful night of theatre for our Senior students, friends, family and members of the public. When was the last time you were ‘fooled’ on April 1st? For me it was Monday of this week – I was ‘fooled’ once and then pretended to be four times more because that’s what you do when you work here with this age group. The five times reinforced the reality of my work and it was tantamount to a paralysing injunction: they’re still little; they’re ‘oh so’ naughty (this is different from bad); they love fun (even, and especially actually, when they’re tired); they’re still terrible at holding grudges (a wonderfully refreshing characteristic of very young adolescence) and they are what I call ‘real people’. We’re tired too and strange as it may seem, when we are so we can often expect, then tell these young people to ‘grow up’, to act more responsibly than their years would normally allow. 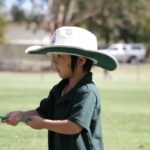 We need to allow, to encourage and to help them to grow up at a sensible, realistic pace. On the proviso that we don’t reward it when it is little more than the expectation, we should acknowledge good – always. We need to celebrate excellence, as well. So, some of you we’re unable to see Oliver! and this is such a pity as you missed a real treat. We’re including a photo of most of its players – ‘front and centre’ you’ll see our people, all ours. It’s little wonder they’re tired, but they’ve excellent reason to be tired. It was wonderful and so were they. The Middle School contingent certainly boasted very good numbers, undisputed pride and, only as young people can, loads of energy. Mr O’Connell, Mrs Cleaver, Ms Roobol, Dr Brasche, Mr Cornford and all…thank you for the Pygmalion-like transformation of students into thespians. As I’ve previously indicated, the term has been long, busy and very different from ‘past practice’ for so many of our people. It’s high time for a break, definitely within in sight now, from what has finally become normal school routine. There’s plenty of opportunity for students to be at home, to relax, to reflect and to recharge (and some further opportunity for anaphora and alliteration too, possibly). Again, if they mention things that concern them, things we need to know about, please encourage them to speak to us, or simply tell us yourselves. Communication channels aren’t actually channels if we don’t communicate effectively. For a fortnight they’ll be all yours again at the end of next week. 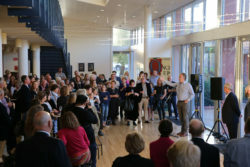 There’s a difference between Debating meetings now and those from years gone by: essentially, with the House points system there’s greater facility and incentive for all students to become involved. This year we have so many Middle School students interested in this pursuit. The same principle attaches to our actual Debating groups where students are regularly encouraged by Mr Hughes to ‘try out’ for teams such as the Tri-Schools competition hosted by TAS, NEGS and PLC. 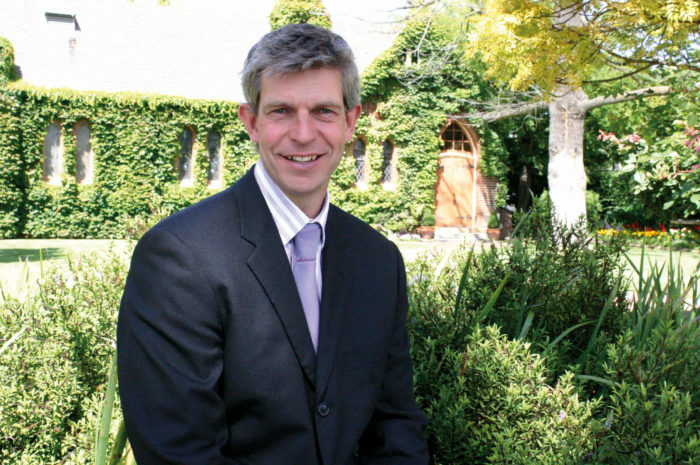 Again, due thanks go to our Director of Co-curricular, Will Caldwell, and his overarching and inclusive co-curricular philosophy, arguably one that centres on such concerns as enabling and empowerment of the School’s senior captains. Yes, granted, the House points system has been around for ever but, no disrespect whatever intended, the motivation, participation and encouragement of Senior House Captains seem to be undergoing a more ‘user friendly’ renaissance over the last four years, at least. I’ve seen these senior boys and girls in action; they’ve somehow perfected the ‘omniscience and omnipotence’ duality, being everywhere and all powerful at the one time. 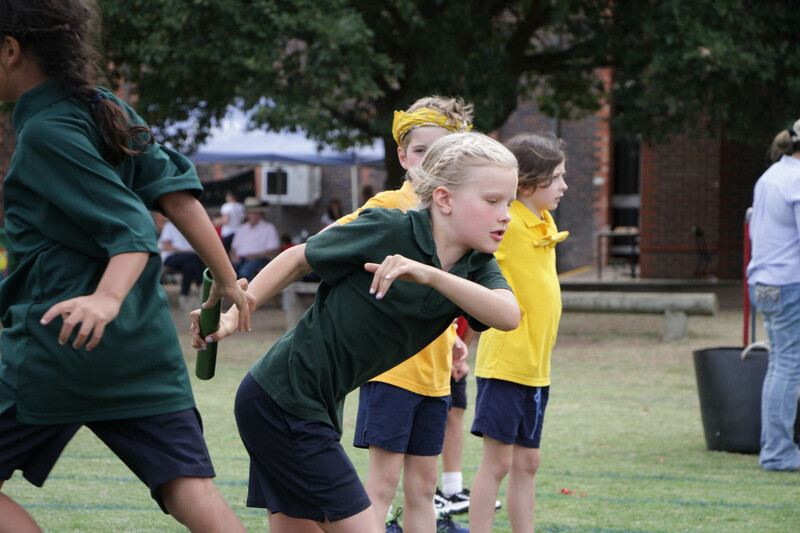 Athletics, the school-based form of it, at least, is ‘done’ for another year and it was excellent. 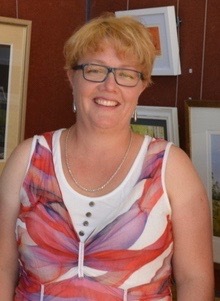 While I didn’t have opportunity to talk to as many of you as in past years, I did see you and you looked happy enough. Even on Saturday, when the torrential, almost tropical downpour caused gutters to clog, Wakefield to pool and all and sundry to run for the weights room and gym, not one person said anything more than words to the effect of ‘thank goodness’ and we all know what it was that warranted this style of comment. The Carnival was so well organised by Will Caldwell and Rachael Edmonds that its management and operation appeared seamless. Congratulations to all students and staff and, on your behalf, special thanks go to Mr Caldwell and Mrs Edmonds. 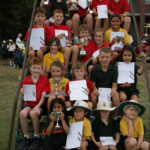 The Kids Lit Quiz, held at Armidale City Public School last Thursday, was an enjoyable experience for everyone who attended. We had to compete in 10 rounds with 10 questions on different topics, such as caves, cities, hobbies and ‘shapeshifters’. The Year Six team members received a book prize each as they won one of the rounds. 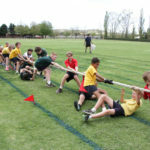 The Year 6 and 7 teams tied for fourth place with a total score of 61 points which was a pleasing result as there were 19 teams competing from Years 5 to 7. 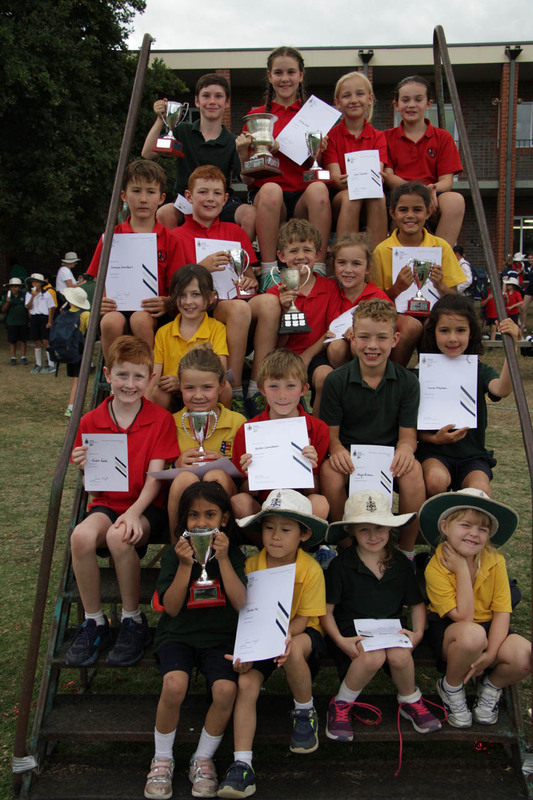 The participants in the Year 6 team were Tom Crowley, Hugo Li, Austin Pease, and Leen Jezani. The Year 7 participants were Henry Kirton, Sam Hynes, Will Gilpin and James White. The event was fabulous and it is highly recommended for anyone within the age of 10-13 who loves to read and has a good knowledge of literature. As most of you will already know, the After School Care facility is running regularly fivedays a week, becoming increasingly popular as the term progresses. 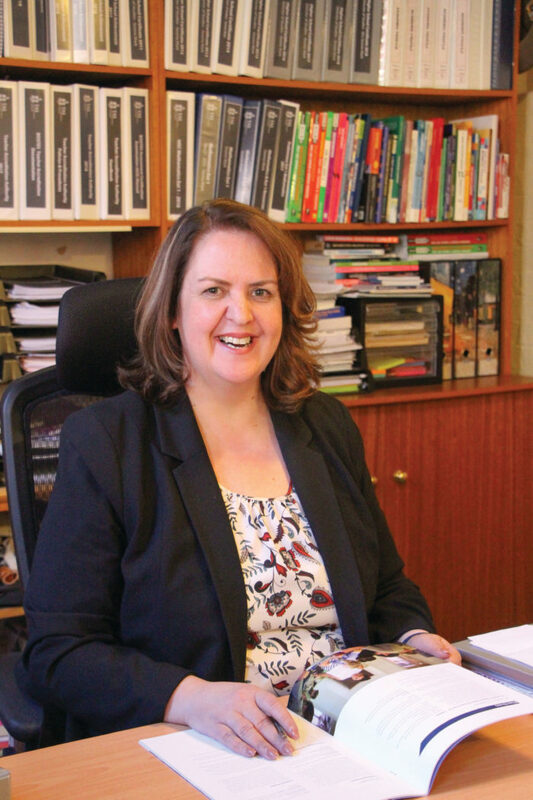 Our OSHC Coordinator, Ms Jacinta Coates, is now excited to announce that Junior School will be running Vacation Care these holidays. 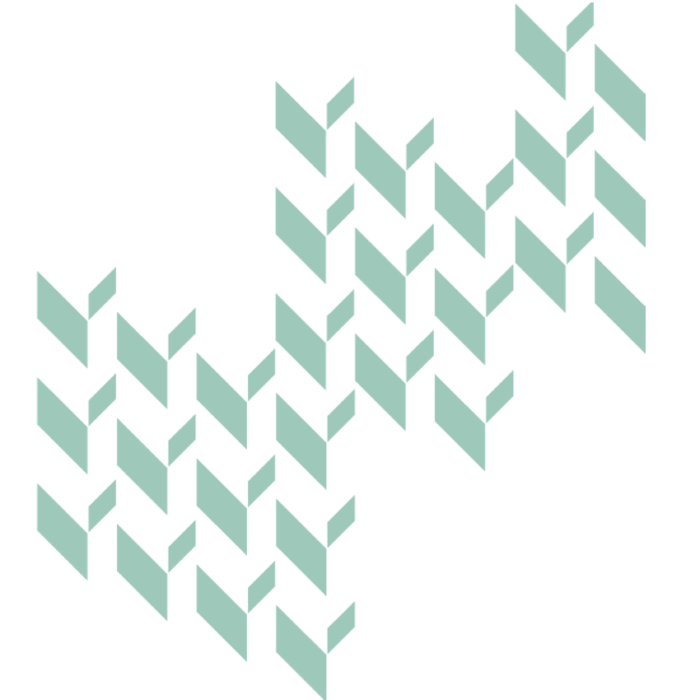 The program will run every day except weekends and public holidays and each day will have a theme which includes outside challenges and adventures, indoor game days with prizes, Easter preparations with treasure and scavenger hunts, baking, chess competitions, arts and craft activities and many more. There will be two excursions, one to the Sport and Rec Centre and one to the movies. The aim of OSHC is to keep children from Year 6 to Transition actively engaged, happy and safe. 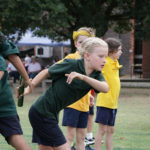 Even in her absence, Mrs Wright was able to organise and manage our Junior School Athletics carnival to perfection last Friday (and tweak the weather from a distance for us as well!) We are always grateful for her experience and I thank her for the dedication when organising all our Sport in Junior School. Her report follows but I too, would like to congratulate all our athletes who performed so well on the day. 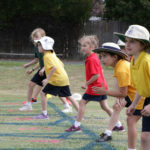 As I stated on Friday, participating in athletic pursuits is not for everyone, but having a go certainly is. In particular, we congratulate Charlie Ward (Year 5) who has broken two long standing records. She is a talented (and very humble) competitor, and we look forward to hearing how she progresses through the season. Edumate is the School database and platform for communications with all parents at TAS. Junior School Reception recently sent all parents both a text message and an email in relation to changed football arrangements which now gives us an opportunity to check to see if the system is working as it should. If you did not receive these messages, please contact us at [email protected] and we will rectify the situation. Thank you to those who have indicated they will be able to host some TEZ students and I look forward to others joining us. While it is a busy week, it is a lot of fun with many, very close friendships being formed. Tezukayama have now indicated they will be arriving at TAS on Friday August 16 and departing on Thursday August 22 with timings to be available soon. Families who have billeted in the past speak very highly of both the students they billet and the cultural experience for themselves and their families. The benefits for all our students are enormous. The girls and boys range in age from 9 – 12 and while some prefer to be billeted in pairs, many do not. Either way, this is an opportunity to engage with some wonderful children from another country and an excellent way to reciprocate the generosity our students experience when we travel to Japan every second year. 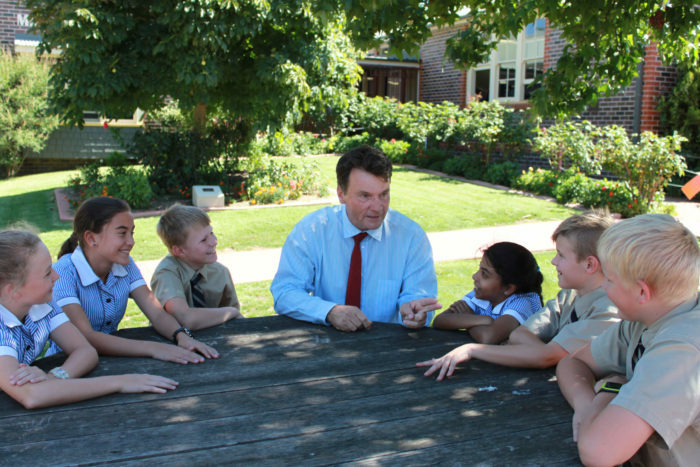 The Junior School Parent Teacher interviews for Kindergarten to Year 5 are now locked in and booking out fast. The information required for booking your interviews has been emailed to all K-5 families, so please follow the instructions to make your booking/s as soon as possible. If you have any difficulties, please contact either your classroom teacher or JS Reception. Happy birthday to Joshua Bourke, Lachie Hunter and Rory Secker this week. 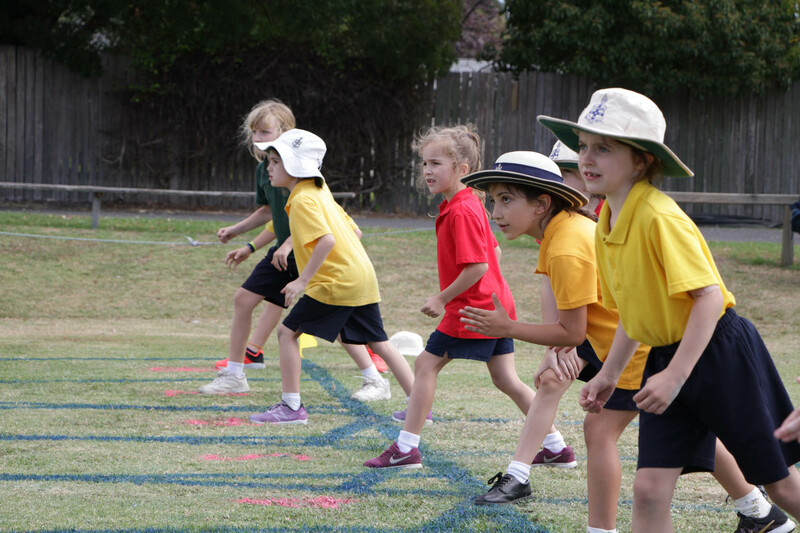 Last Friday our annual Athletics Carnival was run in great spirit as each child participated enthusiastically in a variety of track and field events. If you were a division champion and received a trophy on the day, please remember to return it this week so we are able to have both the trophies and medallions engraved.